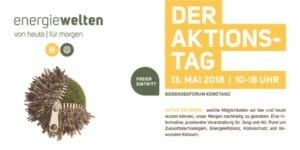 Energy Worlds, one of the most important event on civic participation in energy transition at Lake Constance, will take place on the 13th of May 2018. Global Nature Fund is going to organise an interactive stand where all the C4ET-tools can be tried and played. Join us in Constance!